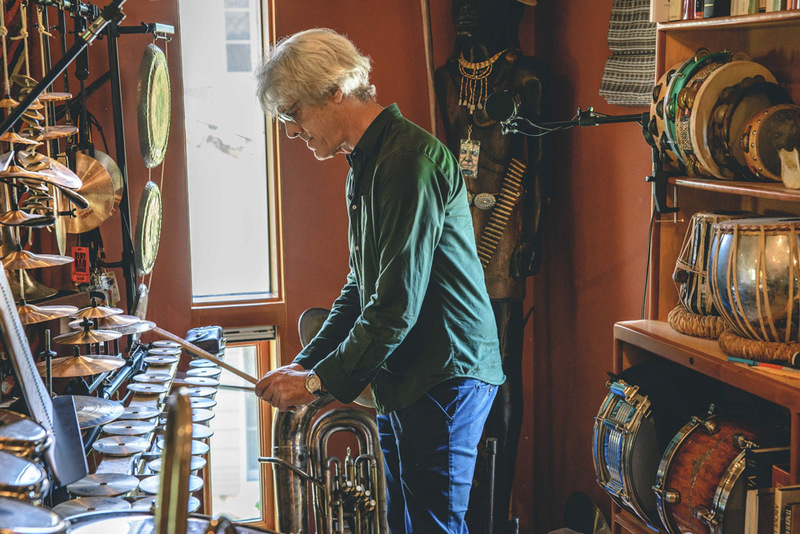 Trying to define Stewart Copeland as a musician is next to impossible. He’s rhythmic. He’s eclectic. He’s talented and prolific. You likely know him as a founding member and drummer for The Police, one of the most popular bands of the 1980s. 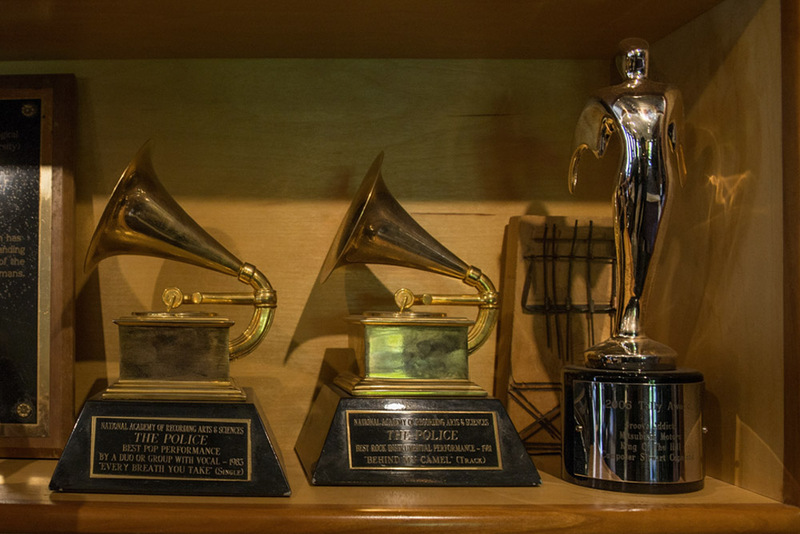 Or maybe you’re more familiar with one of his 70-plus composing credits, which include projects like the Spyro the Dragon video game series and feature films like 1987’s Wall Street. 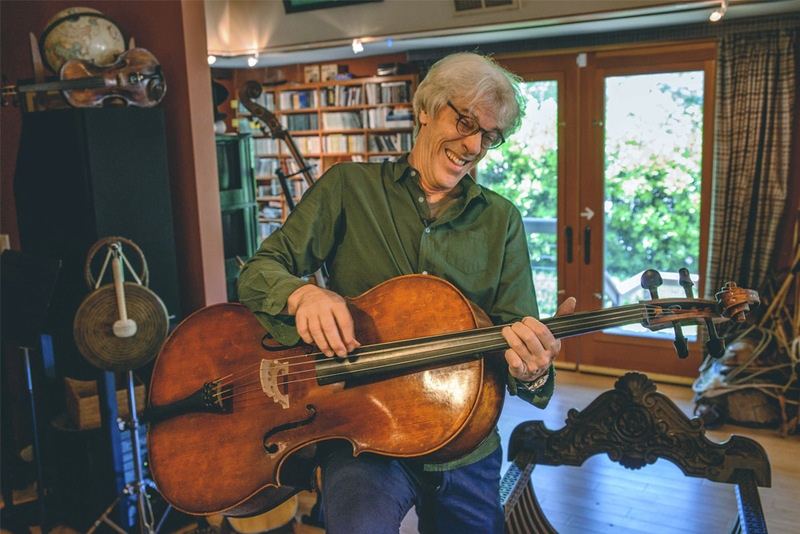 Perhaps you've had the privilege of seeing one of his many ambitious orchestral works or operas, like his recent adaptation of the Adolfo Bioy Casares' novella The Invention of Morel. Stewart’s background is as diverse as his resume. Born in Alexandria, Virginia, Stewart’s family relocated to the Middle East shortly thereafter, where he spent most of his childhood. At 15 years old, Stewart moved to England for school and later, to California for college. 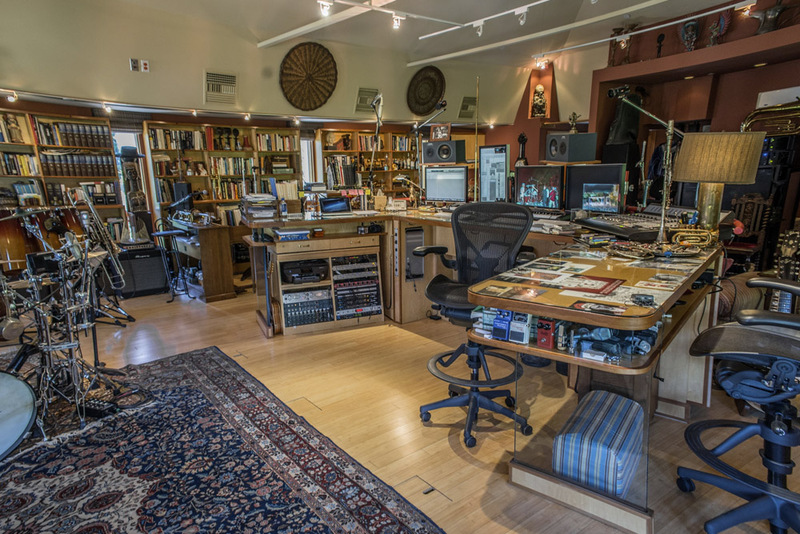 Walking through Stewart’s Sacred Grove Studios, even casually, immediately reflects the thickness of his passport and the breadth of culture he’s absorbed into his life and work. 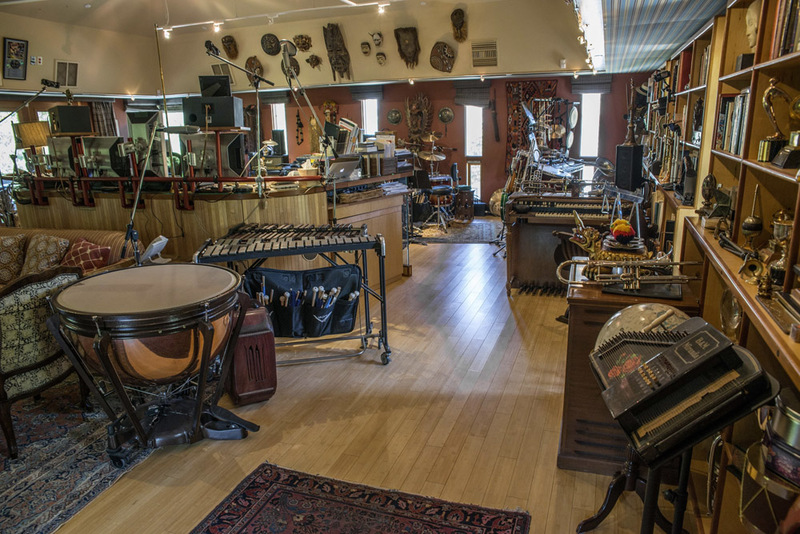 Various exotic instruments fill the room and line the shelves, resting next to well-loved, leather-bound volumes. A few months back, Mr. Copeland was gracious enough to welcome us into his studio with our cameras and interview questions in tow. 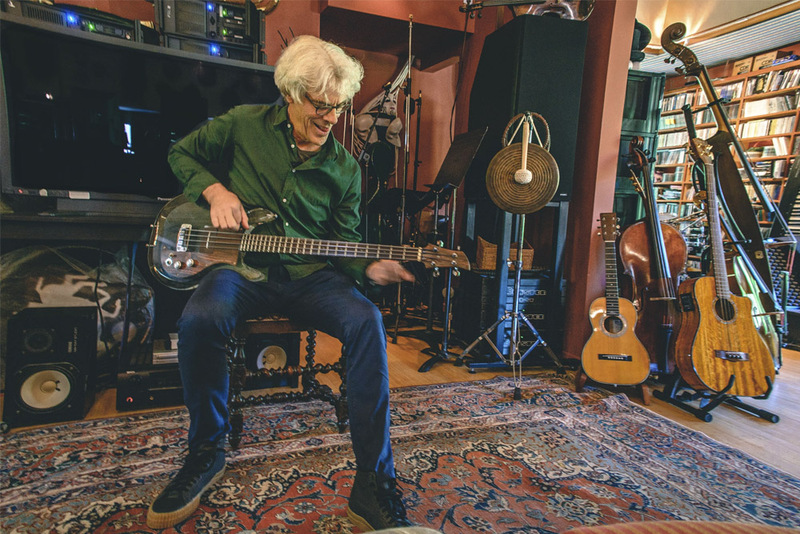 And though we explored and learned about his gear collection and workspace, what we learned most about was Stewart himself—his background, his relentlessly curious traveler’s sensibility, his composition style and music-making philosophies. You can see what we saw and learn what we learned in the short film above. 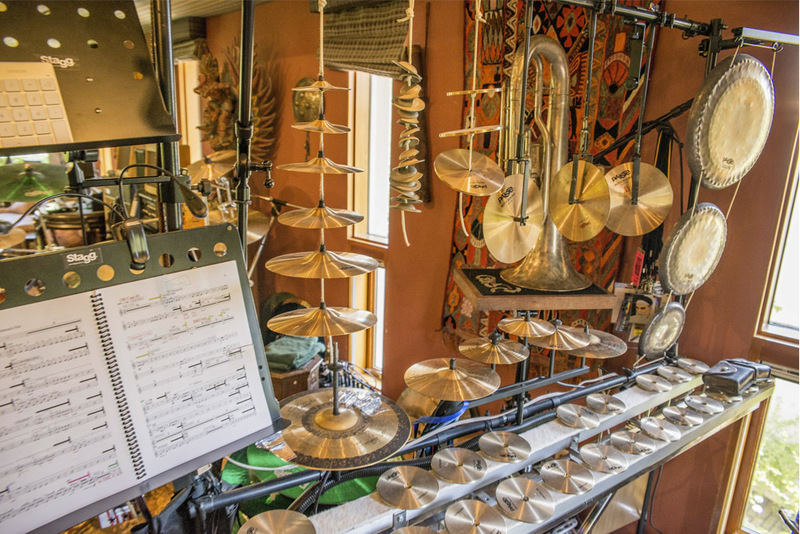 As he showed us around his space, Mr. Copeland paused by various instruments, playing a bit as he told us where he had picked up that particular piece, whether it was a Balinese "tambourine from hell" (as Stewart affectionately nicknamed it) or a pocket-sized polytonal Chinese drum. 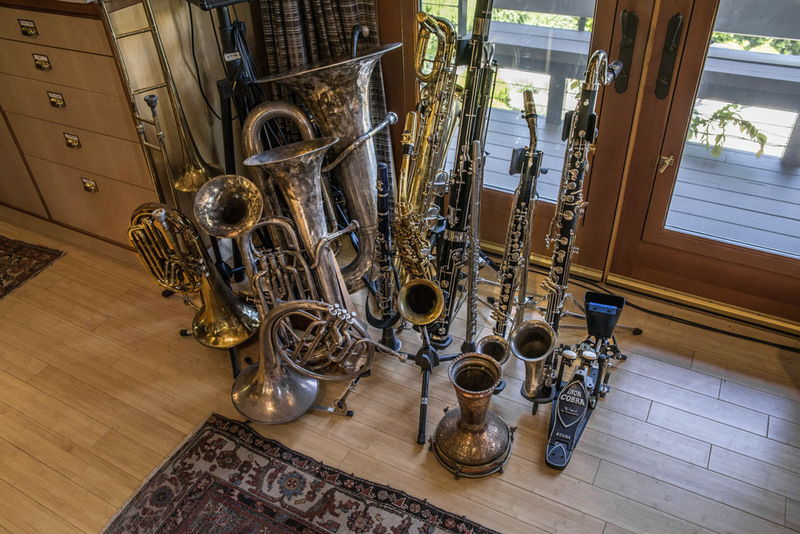 Joining the cache of oddball instruments are more conventional western instruments, like Stewart’s Tama kit and a 1928 Conn trumpet that he inherited from his father—a session jazz trumpeter who played with musicians like the Dorsey Brothers and Glenn Miller. In fact, Stewart himself started on the trombone before moving over to the drums as an adolescent. 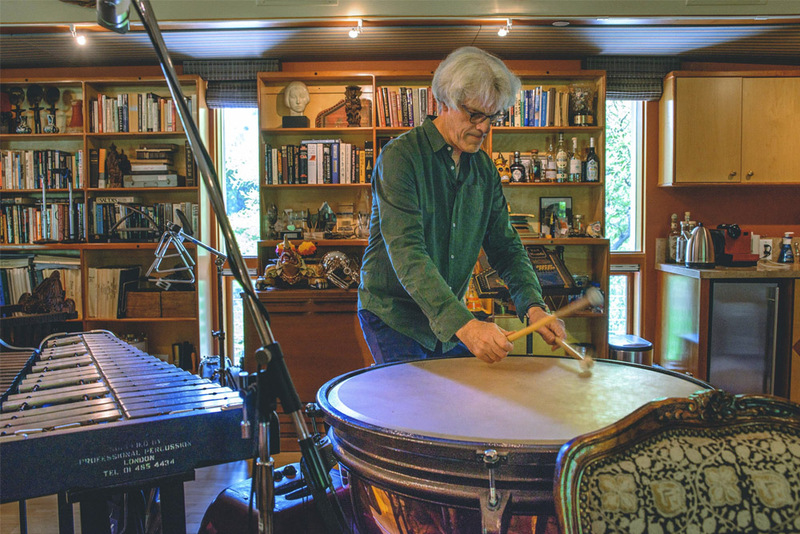 "There’s not much connection between playing drums and writing music, oddly. Playing drums is an instinctive, elemental participation in something. 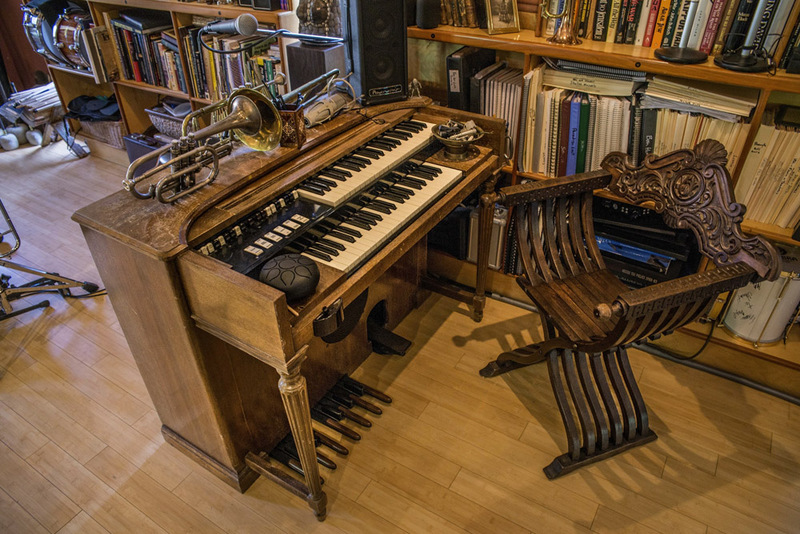 Composing is looking inside your mind and conjuring up something and creating a piece of music. 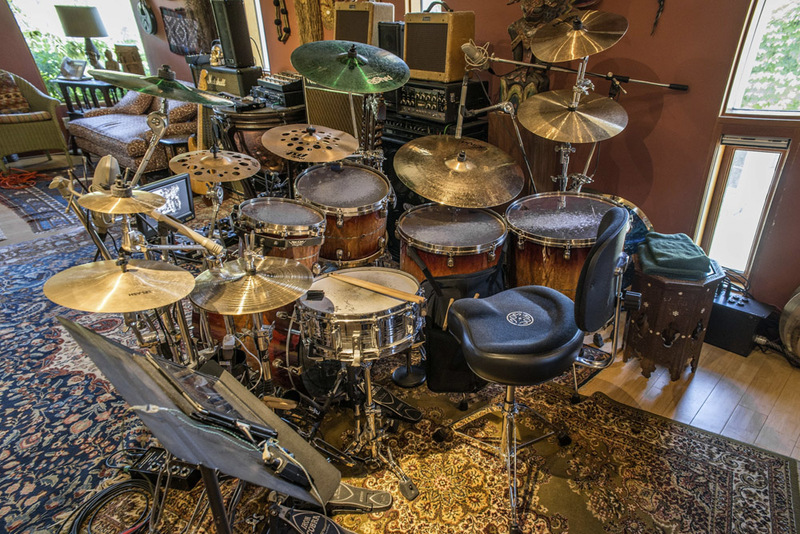 Playing drums is an experience, it’s not a composition, it’s not an intellectual exercise. It’s something that you’re doing, and you feel it as you do it." 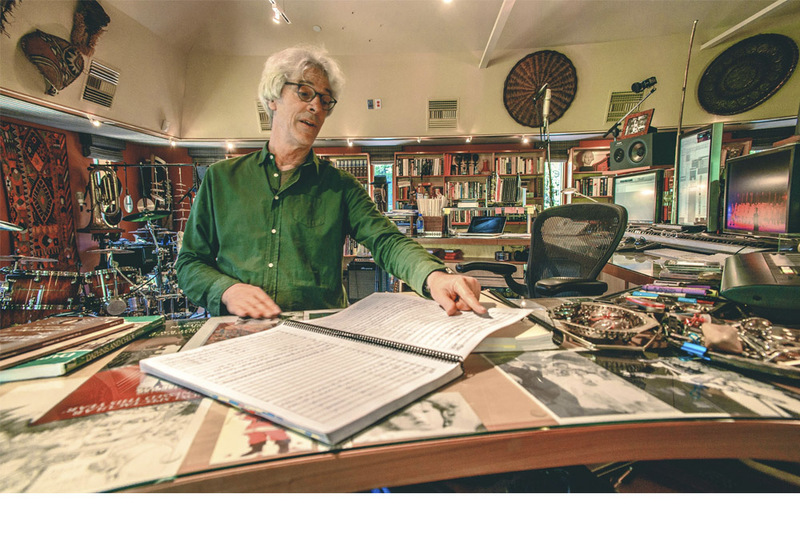 It's these sorts of insights—gleaned through experiences as diverse as spending his first record contract payday on a New York music store shopping spree to spending a night in jail while traveling and filming The Rhythmist in Africa in 1984—that make us proud to present Stewart Copeland: Where The Gods Live. 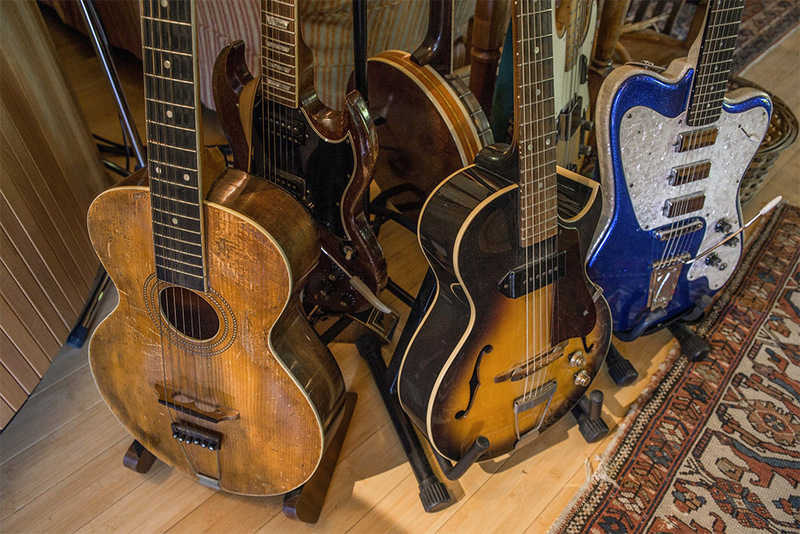 We hope you enjoy this exclusive Reverb feature. 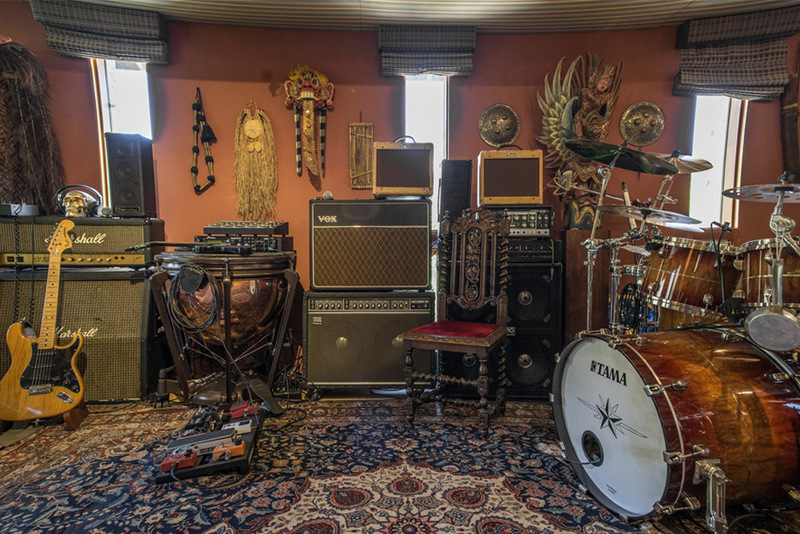 If you’re interested in owning a piece of Mr. Copeland’s personal gear collection, you can peruse the a handful of items that he is selling through our pals at Techno Empire below.